I recently purchased a 2008 Nissan Skyline from SBT. This is the 3rd car I purchased from SBT. Just like my previous cars I purchased I was not let down. 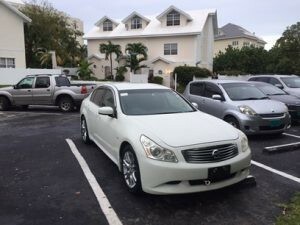 My Nissan Skyline car was in good condition and very affordable. SBT’s sale agent Zeeshan Khan was very helpful, helping me choosing the the best car for me in my budget. Mr. Khan made the entire experience purchasing my 3rd car very easy. I definitely would recommend anyone purchasing a car to use SBT. I would give my rating a 10 of 10. SBT has lots of choices in inventory and Mr. Khan definitely went beyond being helpful. Thanks so much SBT & Zeeshan Khan. I will definite use SBT in the future when purchasing a car. Muhammad haris is a very good sales resprenstive i have been deal n with him 4 about a year he has bee help n me a verp lot an i appreciate him he goes the extra mile 4 his customers i must say dat u have a very good worker an he is an asset to ya company i like how he help me.